Picture yourself ready to leave the reception where you have been celebrating your Big Day with your loved ones. The day has been wonderful and the moments have been perfect. The grand exit is getting set and your heart is pounding. You both come out of the reception hall to be greeted by the sparkler's lights and the love of your loved ones. It is epic ideas like this that assist in creating that fun and magical moment that is often lacking in most weddings. Ellie Piper, knew precisely how to coordinate everyone along with her techniques to help create this moment. Right in the heart of Norman, Oklahoma is the Oklahoma Memorial Union at the Oklahoma University's Ballroom. This beautiful venue is a location that we often provide coverage for our couples. From celeb weddings to your individual special day, wedding sparklers are a magical way to illuminate any night-time reception exits surrounded by an archway of light. What to expect with a wedding sparklers exit? 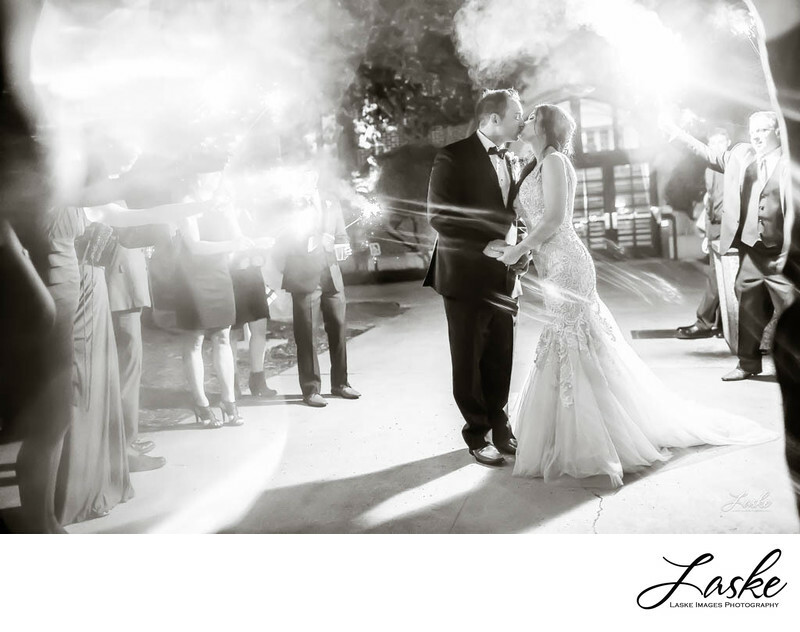 Typically, the wedding party and guests light up the sparklers, the pathway is created while they hold the sparklers. They generally come in many sizes from 10 inches to 36 inches. It is more recommended that a 36-inch sparkler is used as they do not burn out as fast. If you have a large number of guests, the longer the better. They last for 4 minutes which gives you plenty of time to steal a few kisses, embrace, and even dance. It is your day, we are only there to help make sure it is properly covered. Location: 900 Asp Avenue, Norman, Oklahoma.